Undefeated boxing sensation, Devin “The Dream” Haney (19-0, 13 KOs), has brought on Hall of Fame Boxing referee Joe Cortez to serve as the team’s official boxing consultant. Cortez, who is known globally for refereeing some of boxing’s most memorable fights, will guide Devin Haney Promotions as the young phenom ascends in his career. With over 50 years of boxing experience under his belt, as a fighter, trainer and referee, Cortez possesses a plethora of knowledge that is invaluable. 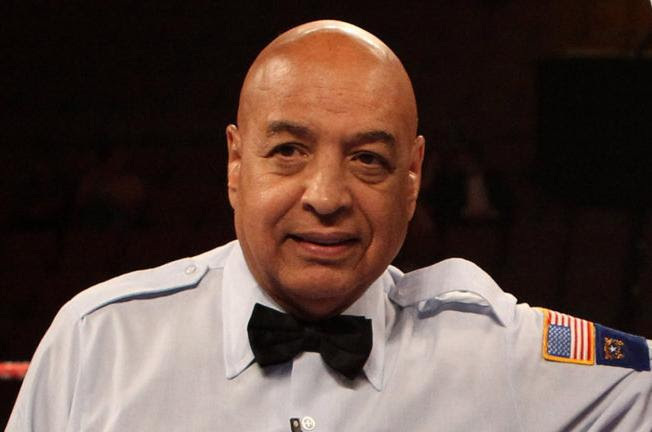 Cortez won several NYC Golden Glove Championships as an amateur, went (18-1) as a professional, and refereed over 175 world championship fights as a ref. Presently employed by Disney as a Boxing Analyst for ESPN since 2013, Joe is thrilled to be part of Devin Haney Promotions and will be accompanying Devin in Temecula, CA, for his upcoming fight September 28th against Juan Carlos Burgos, televised live on Showtime. “I’ve known Joe Cortez since I was a young amateur and I have the utmost respect for him,” said Devin Haney. “He brings a lot of knowledge and experience to Devin Haney Promotions. When building a great team, you need extraordinary team players, and Joe Cortez is certainly one of the best in the business. Its an honor to have him on my team.